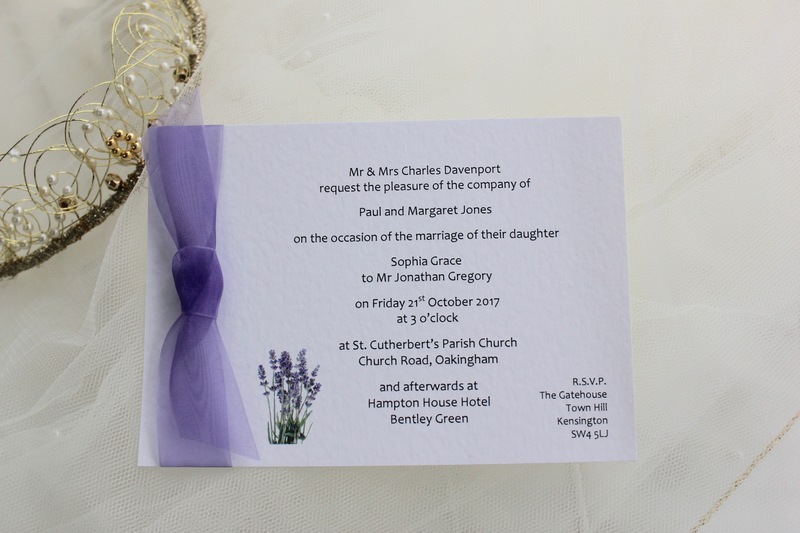 Lavender Postcard Wedding Invitations are fully personalised wedding invites. 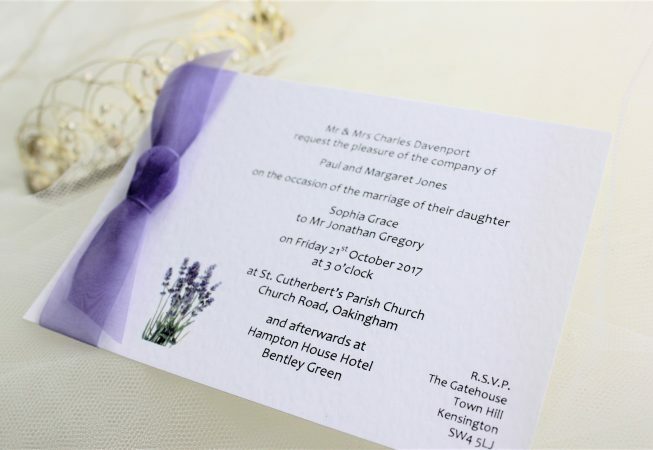 Supplied on a thick heavy weight (270 gsm) hammered card available in white or ivory. 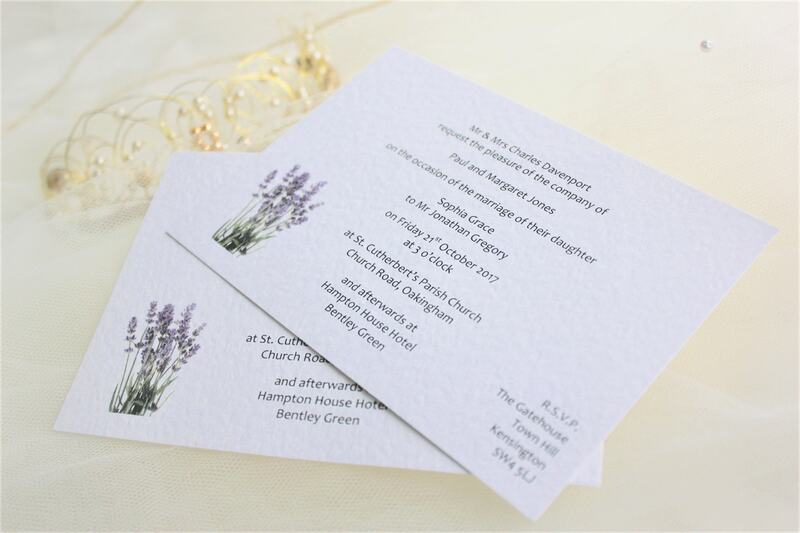 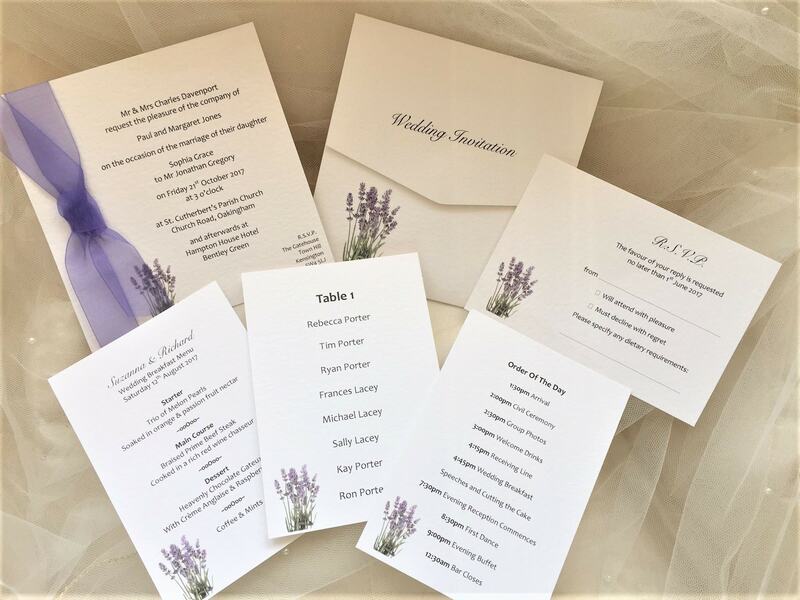 These elegantly styled invitations are our most affordable invite in our Lavender Wedding Stationery Range. 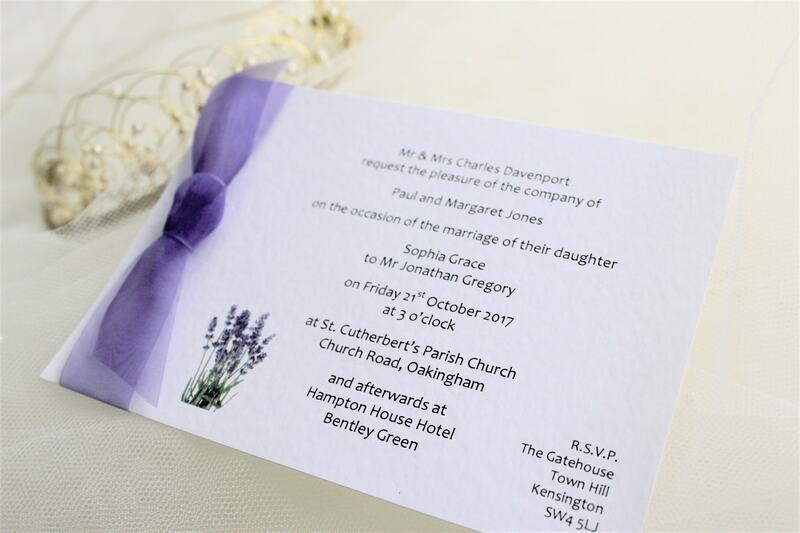 Wedding invitations are supplied with a matching hammered envelope.